Even if you’ve never been to London, most people know what one of their iconic Black Cabs look like. Along with red London Buses, Buckingham Palace and Big Ben, they’re one of the most recognizable symbols of this city. Now though, it’s time for them to have a makeover. There’s around 23,000 black cabs on London’s roads, all diesel and all contributing to air pollution in the city. Because of this, the cabs are about to get a very dramatic overhaul. Whilst they might still look pretty similar on the outside, the inside will be very, very different. This is because from January 1 2018, every new black cab must be an electric model, albeit with a small petrol motor designed to charge the battery occasionally. This development is part of a wider initiative by Transport for London (TfL) as they attempt to reduce the high level of pollution in the city. In order to meet this objective though, a number of things need to happen. Firstly, the power grid serving London will need a substantial overhaul, in order to be able to meet the new demands placed on it as a result of many more electric vehicles requiring charging. TfL have invested £18 million on an upgrade to the power grid, as well as funding the installation of 300 new rapid charging stations by 2020. Most electric-car charging stations currently installed take anywhere up to 12 hours to fully charge the battery of an electric car, which will not be much good to taxi drivers who will want to be spending the majority of the day picking up fares and driving around the city. Instead, the new network of charging stations installed by TfL will only take minutes to top up a battery. TfL intend to install an initial 75 of these rapid chargers by the end of 2017. 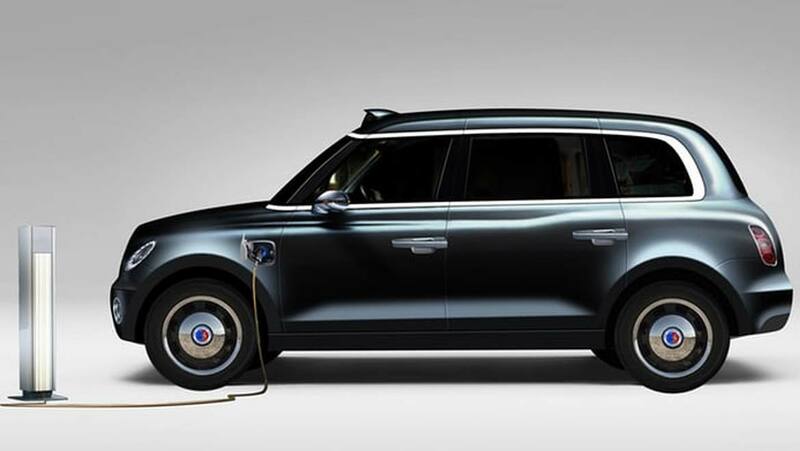 As well as some charging stations which will be dedicated solely for black cabs, others will be made available for members of the public with their own electric cars – of which there are an increasing number on the roads. By 2018 there should be 150 rapid charging points, rising to 300 by 2020. Secondly, the black cab itself requires a major makeover in order to prepare for its new future as an electric vehicle. A few years ago, the manufacturers of black cabs, The London Taxi Company was in serious trouble and heading into administration, before being bought by Chinese car manufacturers Geely, who also own Volvo. "The opening of our new plant sets a number of records: it's the first brand new automotive manufacturing facility in Britain for over a decade, the first dedicated electric vehicle factory in the UK, and the first major Chinese investment in UK automotive. We are extremely proud of what we have achieved today, and we have firmly put our stake in the ground as a new, global automotive leader in urban commercial vehicles." The TX5 cab is due to go on sale in London at the end of 2017, before being available worldwide in 2018. Testing has been taking place in an area of Norway high up in the Arctic Circle, where the combination of clean air, harsh conditions and a remote location allow for the cab to be tested to its limits. Other cities worldwide are also showing an interest, with Paris, Berlin and Madrid all potentially looking to move to electric cabs in the near future. Costing £40,000 each, the cabs certainly aren’t cheap, but TfL will be giving existing cab drivers with a taxi older than 10 years a £5,000 payment towards the cost of replacing it with an electric version. Despite the high cost, steps such as these are a necessary part of our journey towards a cleaner future.